© 2019 Mercedes-Benz Canada Inc. Models shown with features and equipment that may vary or not be available in Canada. 2019 Sprinter 2500 Standard Roof 144" V6 Cargo Van shown above with dealer fees starting from $51,266.49. *Total purchase price of $51,266.49 includes MSRP of $47,400, all applicable dealer fees (freight/PDI up to $3,195, dealer admin fee up to $500, tire duty $15, air-conditioning tax $100 and PPSA up to $56.49). 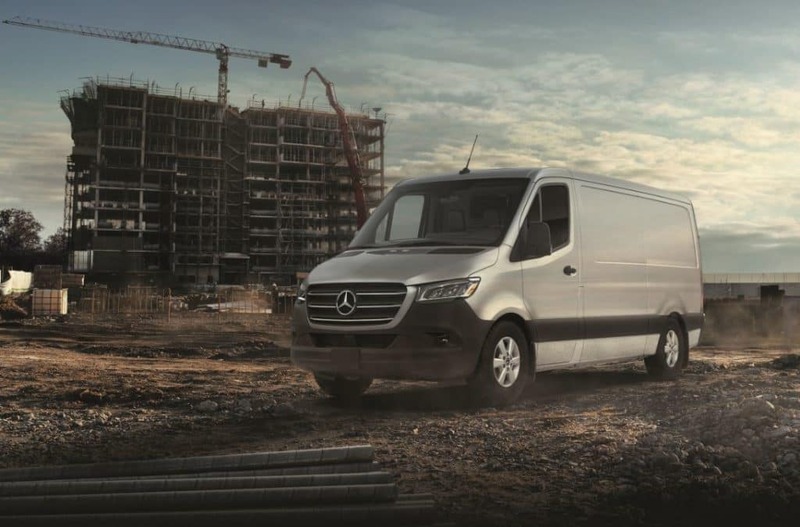 Lease offers based on the 2019 Sprinter 2500 V6 144” Cargo Van available only through Mercedes-Benz Financial Services (MBFS) on approved credit for a limited time. **Lease example based on $595 per month for a 60 month term, a lease APR of 3.99%, with a down payment of $0 (excluding dealer fees). First month’s payment plus a security deposit of $700 are due at signing. Total obligation is $58,752.49 which includes an end of lease residual value of $18,486. 1Licence, insurance, registration and taxes are extra. Dealer may sell for less. 2Offer valid only on approved credit from Mercedes-Benz Financial Services (MBFS). Offers are non-transferable, non-refundable and have no cash value. Offers may change without notice and cannot be combined with any other offers. Certain limitations apply. See Mercedes-Benz Kitchener-Waterloo for more information or call us at 519-579-4460. Offers end April 30, 2019. © 2019 Mercedes-Benz Canada Inc. Models shown with features and equipment that may vary or not be available in Canada. 2019 Metris Cargo Van shown above with dealer fees, starting from $38,767. *Total purchase price of $38,766.49 includes MSRP of $36,000 plus all applicable dealer fees (freight/PDI up to $2,095, dealer admin fee up to $500, tire duty $15, air-conditioning tax $100 and PPSA up to $56.49). 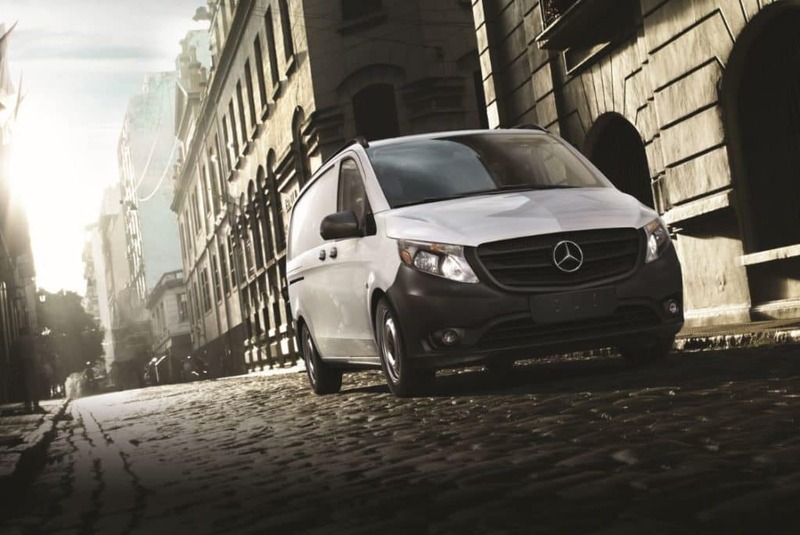 Lease offers based on the 2019 Metris Cargo Van available only through Mercedes-Benz Financial Services (MBFS) on approved credit for a limited time. **Lease example based on $430 per month for a 60 month term, a lease APR of 2.99%, with a down payment of $0 (excluding dealer fees). First month’s payment plus security deposit of $500 are due at signing. Total obligation is $43,106.49 which includes an end of lease residual value of $14,040. 1Licence, insurance, registration and taxes are extra. Dealer may sell for less. Finance and lease rates of 2.99% for 60 months applies to 2019 Metris models. Offer valid only on approved credit from Mercedes-Benz Financial Services (MBFS). Offers are non-transferable, non-refundable and have no cash value. Offers may change without notice and cannot be combined with any other offers. Certain limitations apply. Visit Mercedes-Benz Kitchener-Waterloo for more information or call us at 519-579-4460. Offers end April 30, 2019.